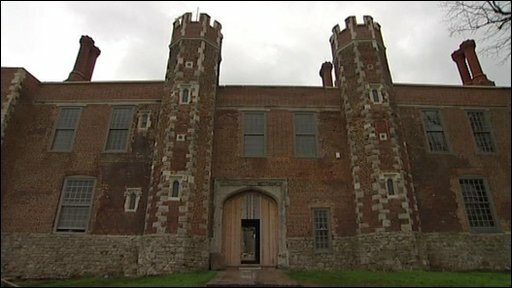 Shurland Hall is the gatehouse - and the only remaining part - of Shurland Hall, sometimes called Sheppey Castle. The castle was built by the de Shurland family who came to England from France in the wake of the Norman conquest. 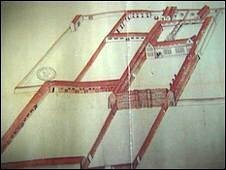 The castle passed into the Cheyney family and Thomas Cheyney became squire to Henry VIII after he came to the throne. Thomas almost bankrupted himself to pay for Henry's visits. Henry's best known visit was in October 1532 when he stayed for three days while on his way to France. With him was his recently wedded, second wife Anne Boleyn. The stone for the castle had to be brought to the island and the stone for the walls around the gardens was taken from Chilham Castle. Thomas Cheyney shared a love of jousting with the King and he rose rapidly in Henry's favour. He became Sheriff of Kent and Lord of the Cinque Ports and ended up as a Privy Councilor, and was the most powerful man in Kent, especially after he was given former church land on the Isle of Sheppey and north Kent. Henry Cheyney, son of Thomas, disposed of his father's Kent property, in favour of his mother's estate in Bedfordshire, which was the start of the downfall of Shurland Hall. Today, only the gatehouse remains, the Hall becoming the source of local building stone once Henry Cheyney had left the island.